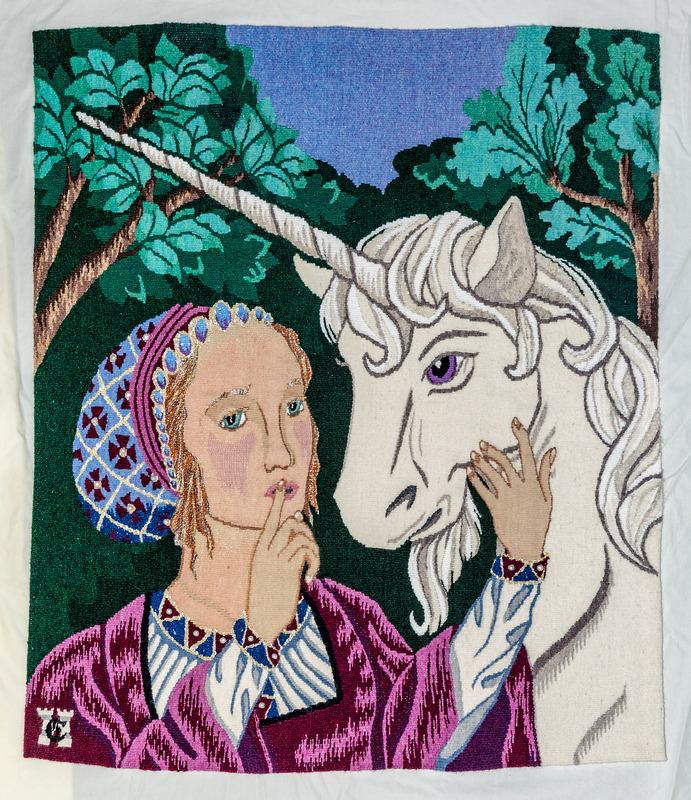 The Unicorn Tapestries have been a fascination for me since I was a teenager. 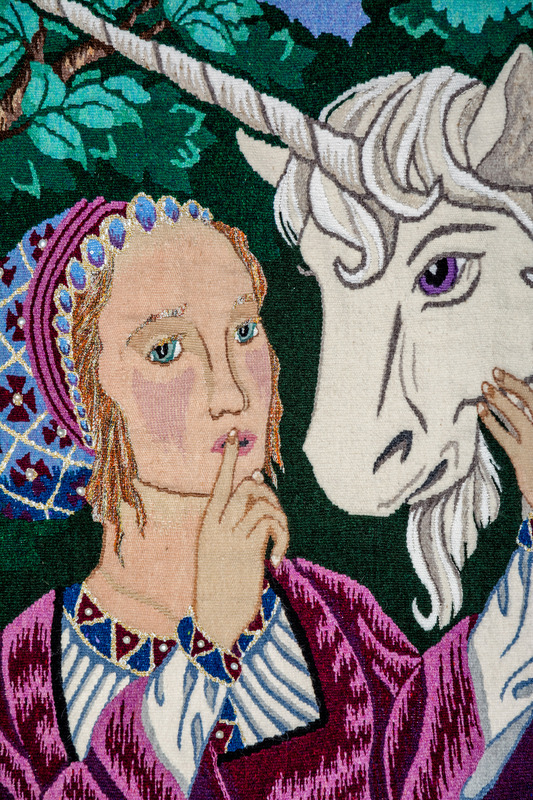 The design and inspiration for this tapestry, though, began in graduate school. 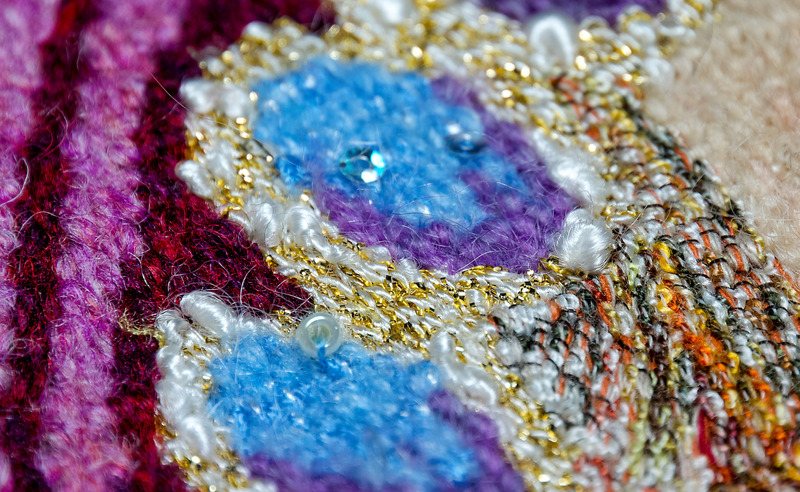 Lovingly called “the five-year project” that has just been completed for this entry in year seven, the layers of research, of storytelling, of technique studies and couture and culture are beyond the scope of this present entry. I have endeavored to capture the highlights, while my studio website offers a more expansive and ongoing look into the project’s full backstory as an “alternative narrative” piece. 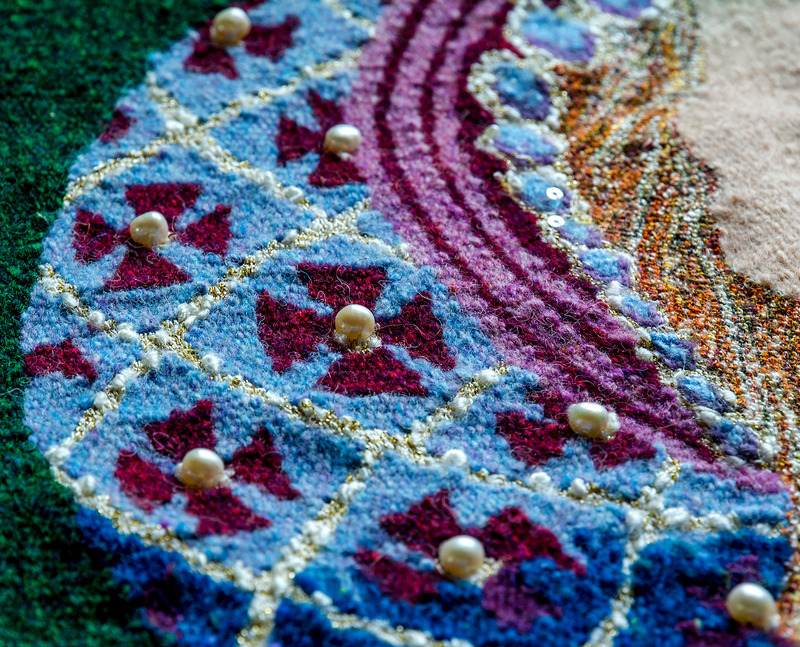 Rich in color and texture, sparkling with gilt thread to bring out my imagined view of the original tapestries when still new, “Deceiving the Hunters” is also studded with freshwater pearls and delicate beads—adding glint and three-dimensionality. Even each choice of yarn has a backstory and mini adventure associated with it! 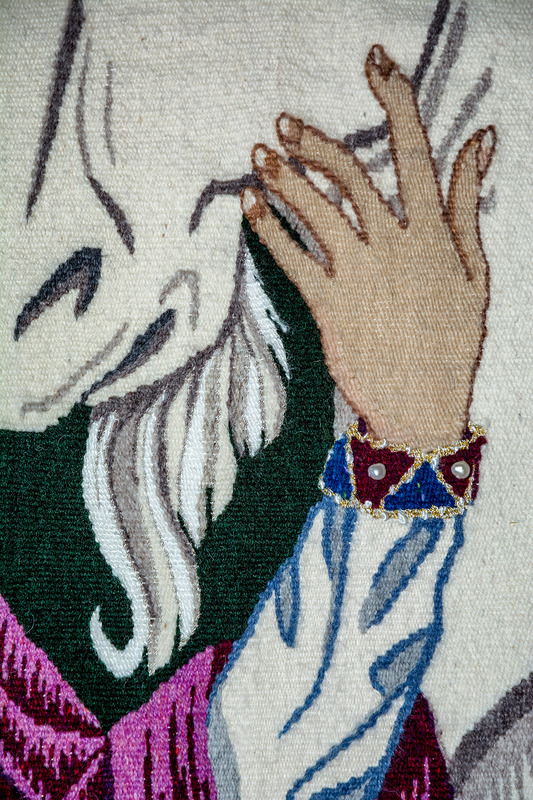 And the journey to see the original series that inspired this work? All these and more are chronicled on this site. Dig as deeply as you like. The story continues!